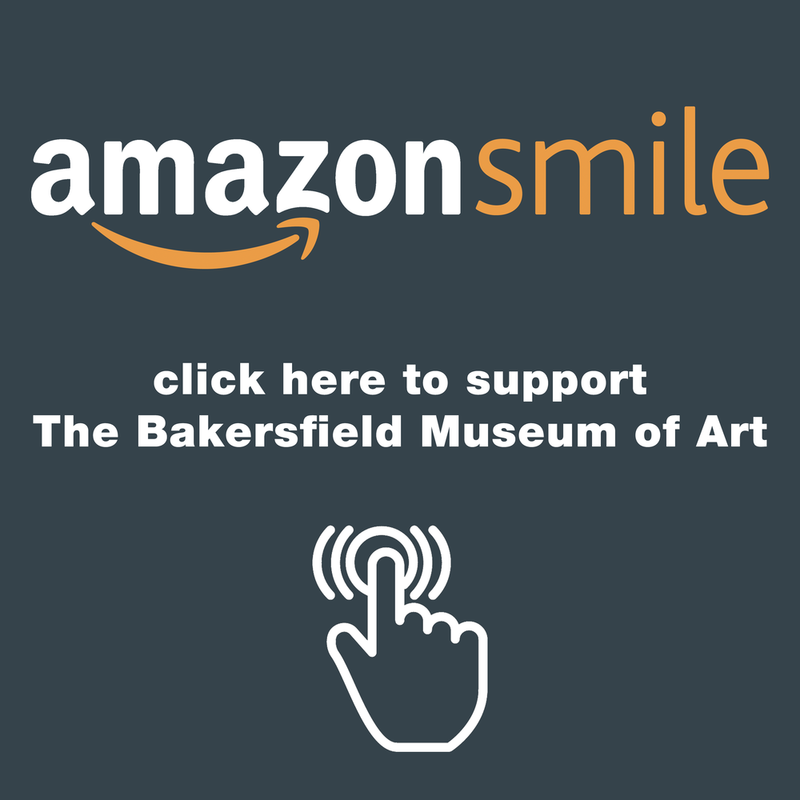 Support of the BMoA Fund ensures that the Bakersfield Museum of Art continues to be a cultural epicenter that engages, inspires, and builds community through visual arts for generations to come. Your donation supports all areas of the museum including preservation of the permanent collection of over 350 works, visiting exhibitions, and youth art education and outreach. Though BMoA predominantly focuses on California paintings, drawings, photography and sculpture in our collection, we are willing to consider any work from noteworthy artists that would, because of their outstanding quality, greatly enhance the Museum’s ability to fulfill its mission. AmazonSmile is a simple and automatic way for you to support BMoA every time you shop, at no additional cost to you. When you shop with AmazonSmile a portion of your purchase will be donated directly to the Museum. 1.) Click on the AmazonSmile banner, or Click Here. 3.) Start shopping! Your shopping experience will be the same as it is on the Amazon website. *Note: AmazonSmile cannot be accessed through the Amazon App. Purchases that benefit BMoA must be made on a desktop computer.